I just have to give Philipp Winterberg five stars, each of his books are so beautifully done. The illustrations and the story are loved by my young children and myself while we learn German. 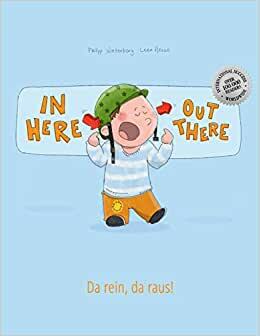 This little group of books are genius and really encourage children to love learning German. I really like this book because it is easy to read. It also is helping me learn German. I think children's books are a wonderful way for one to learn a new language because it gives one a chance to become acquainted with new vocabulary. Disappointing. Nice drawings but the story does not make sense. It has one short phrase per page and, additionally, Joseph in the German becomes Jakob in the English! I cannot recommend this book.